The Associated Press-NORC Center conducted a national survey of Americans 40 or over to contribute rigorous and highly relevant research to this policy problem. The U.S. population is aging rapidly, with projections that the population of those over age 65 will nearly double by the time the last baby boomers reach age 65. In 2000, seniors comprised 12 percent of the U.S. population. By 2030, that number is expected to rise to 19 percent or 72 million Americans over the age of 65. 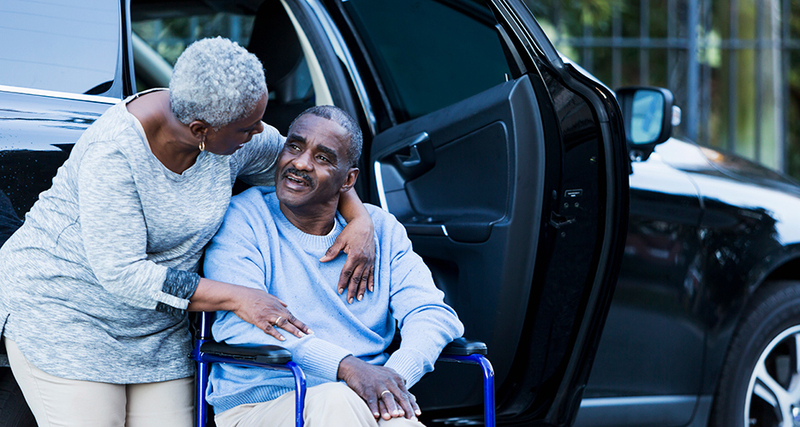 U.S. Department of Health and Human Services projections estimate that 70 percent of Americans who reach the age of 65 will need some form of long-term care in their lives for an average of three years. 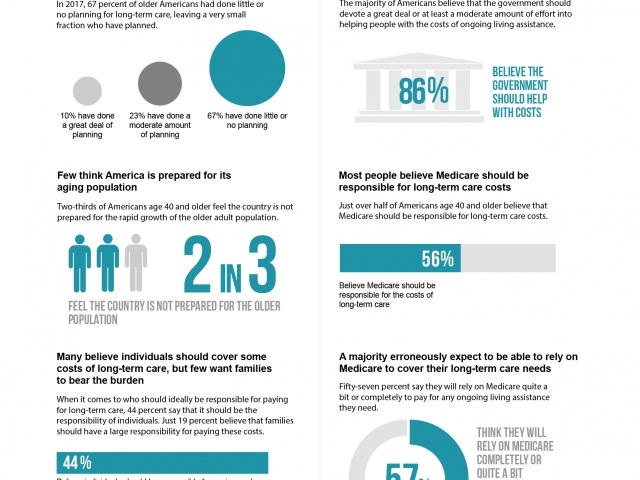 With the aging population come important social and public policy questions about preparing for and providing quality long-term care. The Associated Press-NORC Center conducted a national survey of Americans 40 or over to contribute rigorous and highly relevant research to this policy problem. With a focus on understanding the experiences and attitudes of this population as they begin to plan for their own care and interact with the long-term care system to provide care for loved ones, we examine their understanding of the long-term care system, their perceptions and misperceptions regarding the likelihood of needing long-term care services and of the cost of those services, and their attitudes and behaviors regarding planning for long-term care. With a focus on generating new and actionable data about this population to inform the national dialogue surrounding long-term care issues, The AP-NORC Center, funded by The SCAN Foundation, conducted 1,019 interviews with a nationally representative sample of adults who are at least 40 years old.